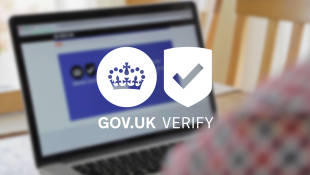 GOV.UK Verify uses a range of certified companies which users choose from to verify their identity for services on GOV.UK. People sometimes ask why these companies ask users to specify their gender. We thought it would be useful to give a little more explanation. Once you have selected the certified company you wish to use, you’re asked to supply your name, address, and date of birth. These are the details about your identity that the certified company will verify, to establish that you are who you say you are and it’s not someone pretending to be you. The certified company will also ask your gender. Anyone, for any reason, can opt out of identifying themselves in this way and choose an ‘I prefer not say’ option. You’re not required to provide an answer and - even if you choose to do so - the certified company won’t verify it. To verify your identity, certified companies match the data you provide about your identity with data from a range of data sources, to check different information you give them. If you do decide to specify your gender, it narrows down the data field and helps the certified company find you in the records they check. Similarly, it can help the service you are accessing to find you in their records. Gender is useful to increase the precision of matching your assured identity with data held about you by the service you want to use. It’s not essential but often allows services to differentiate between people with names that could be male or female. In the NHS, for example, it’s best practice to always ask for gender. GOV.UK Verify makes gender optional as, whilst it is not essential for matching, it can make it more successful. Keep up to date with the latest news by signing up for email updates. How about giving a way to contact you? Gave all identity information and answered all questions and funnily enough I am me but apparently they were unable to confirm that. I’m sorry your chosen certified company could not verify you. There are lots of reasons why a certified company may not be able to verify you. We do appreciate how frustrating that can be for those we are unable to verify at this stage. Whilst we are in the trial period and still developing GOV.UK Verify, there are always other ways to access services so if GOV.UK Verify doesn't work for you, please return to the service you were trying to access and use one of the other available ways to access it.